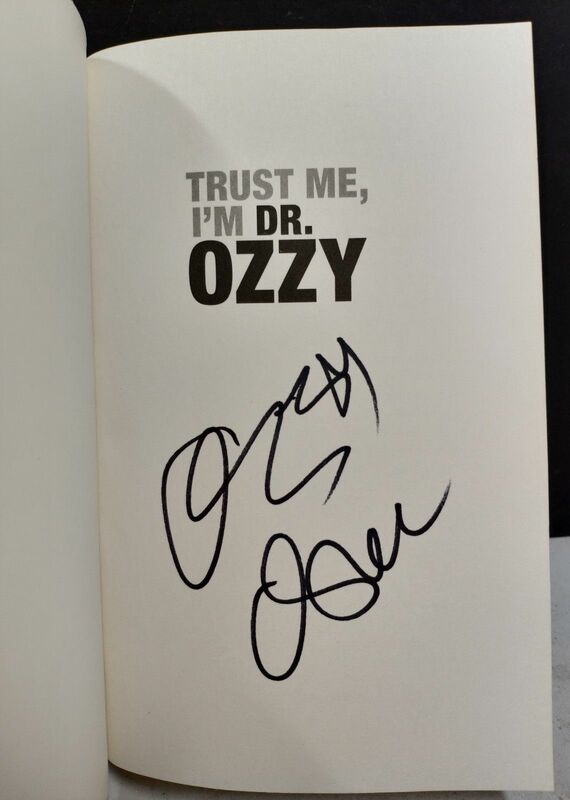 Trust Me, I'm Dr. Ozzy first edition hardcover book autographed in black marker on the title page by legendary rocker and reality TV show star Ozzy Osbourne. 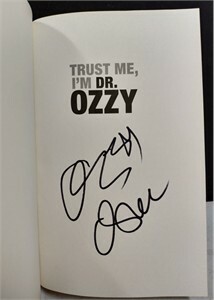 Obtained in person at book signing, with certificate of authenticity from AutographsForSale.com and photo from the signing. Dust jacket has minor shelf wear. ONLY 2 AVAILABLE FOR SALE. LIMIT ONE PER CUSTOMER.